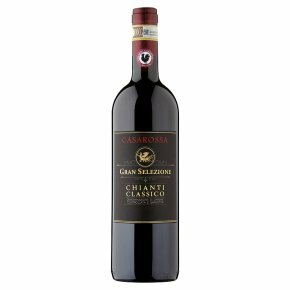 Wine of Italy.Gran Selezione Chianti Classico denotes the highest possible quality of Chianti. The sangiovese and merlot grapes selected for Casa Rossa are estate-grown from the very best vineyards. After 30 months of ageing this classic and elegant wine delivers smooth, dark cherry flavours with integrated spicy notes.